E&SUM INDUSTRIES (HK) Co.,Ltd. is a comprehensive,professional,technical stength and strong electronic compents authorized dealers,independent distributors!The company has a Ph.DD.,led by a professional service team,strict quality management,excellent technical support services,allows us to offer a first-class quality of the goods,all for the original authentic,and can help customers in the design process provide a reference. 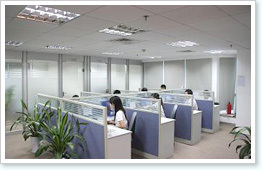 With the professional mode of operation and advantages of resources,E&SUM INDUSTRIES (HK) Co.,Ltd. has become a lot of suppliers and customers in China,reputable value-added patner.The company holds”quality first,intergrity management,mutual benefit and win-win” development concept for the business purpose,to provide customers with the most satisfactory and most complete service to responsibility,more standardization,specialization or the new and old customers with better qutliaty of the service. Main Business:Since its establishment, E&SUM INDUSTRIES (HK) Co.,Ltd.has served many large, medium-sized and small enterprises successfully,which is your best valuable and reliable cooperation parter!